24-hr MEDIA CYCLE/Fake News? OPI and SKC ceu’s available! October 7 – Skinwalkers– the PBS adaptation of the Tony Hillerman novel with Wes Studi and Adam Beach as detectives solving crimes among the Navajo. Western Native Vote will register voters from 12-1 p.m.
October 28 – Excerpts from Mary Kathryn Nagle’s play A Slice of the Full Moon on VAWA (the Violence Against Women Act) and several short films by Ivan and Ivy MacDonald on the topic of Missing and Murdered Indigenous Women. Discussions follow all films and are an important part of the presentation each week. PLEASE PREPARE TO STAY AND PARTICIPATE. These films are award-winning and thought-provoking, and will be shown at 1 pm on Sundays only. This series is open to the public. If you have questions, contact 745-4259. SKC continuing educ credits will be available. Patrick Yawakie is available to visit schools and talk about leadership and how to affect change in communities. 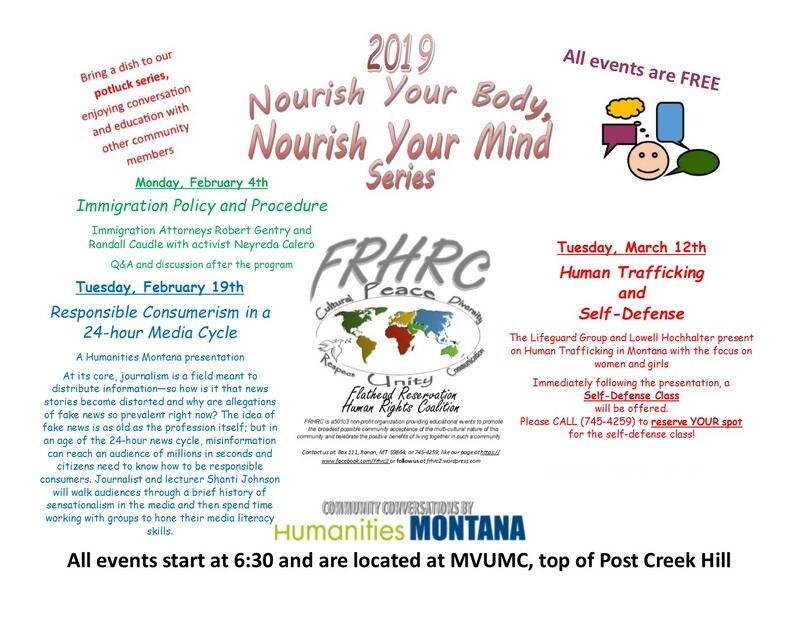 FRHRC is a 501(c)3 non-profit organization providing educational events to promote the broadest possible community acceptance of the multi-cultural nature of this community and celebrate the positive benefits of living together in such a community. Contact us at PO Box 111, Ronan, MT 59864; 406-745-4259 or 745-3303; like our Facebook page at https://www.facebook.com/Frhrc2; or follow us at frhrc2.wordpress.com. 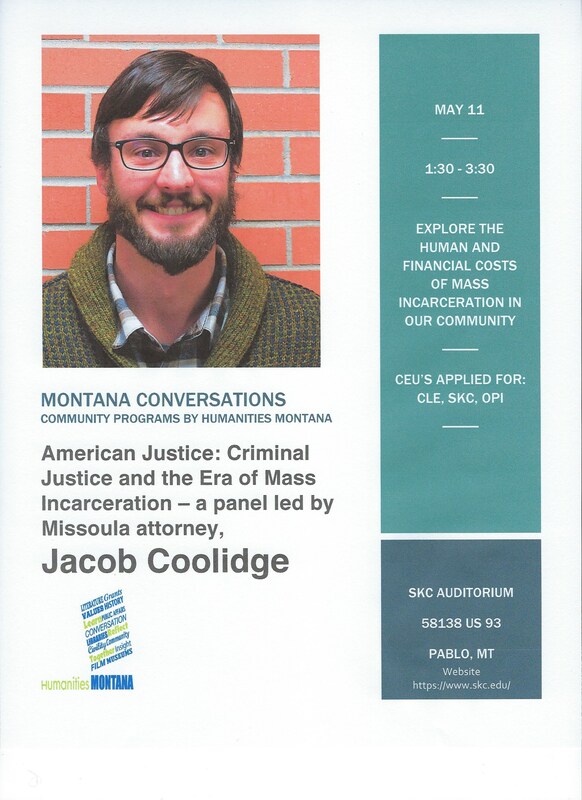 AMERICAN JUSTICE: Criminal Justice and the Era of Mass Incarceration–a panel led by Missoula attorney Jacob Coolidge! 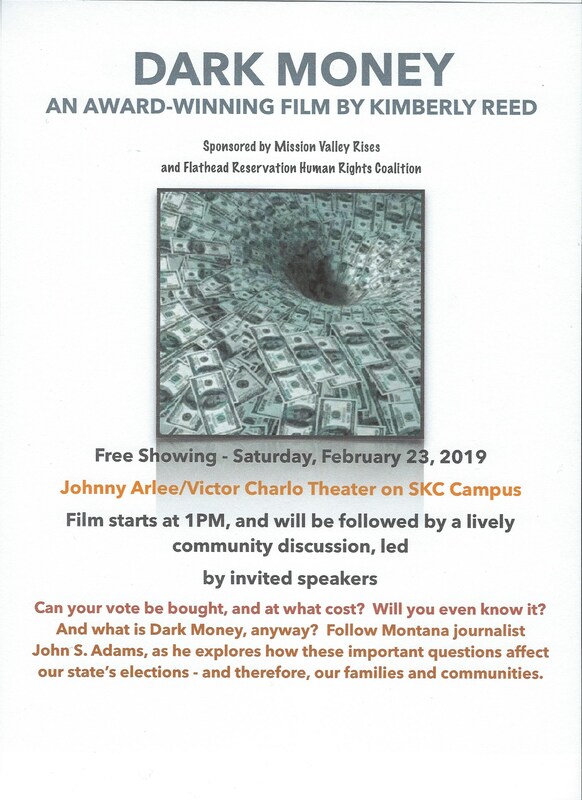 at SKC Arlee-Charlo Theater. 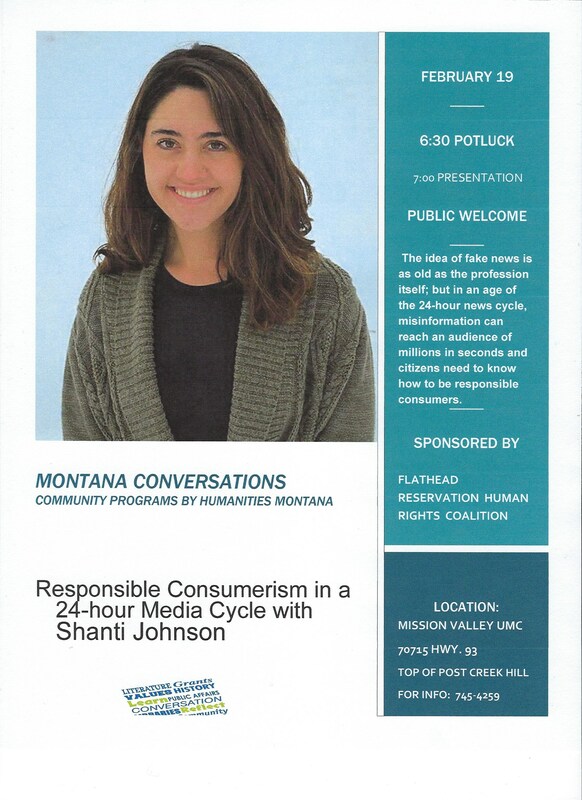 FRHRC’S EVENT ON MAR. 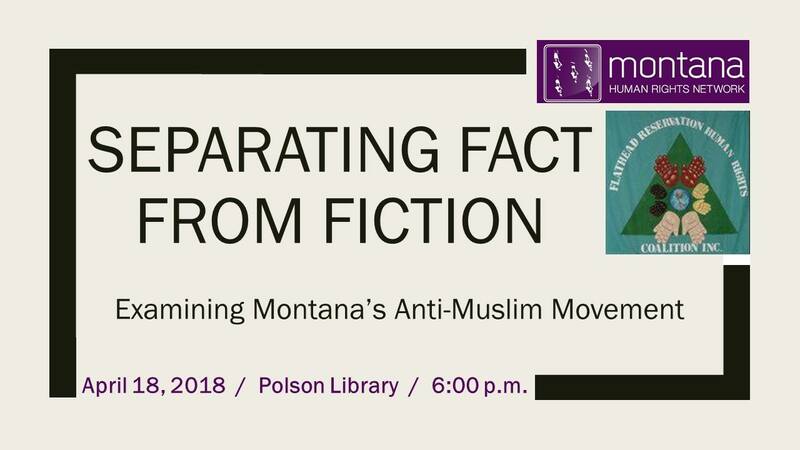 22 AT POLSON LIBRARY HAS BEEN CANCELLED. SORRY FOR THE INCONVENIENCE!